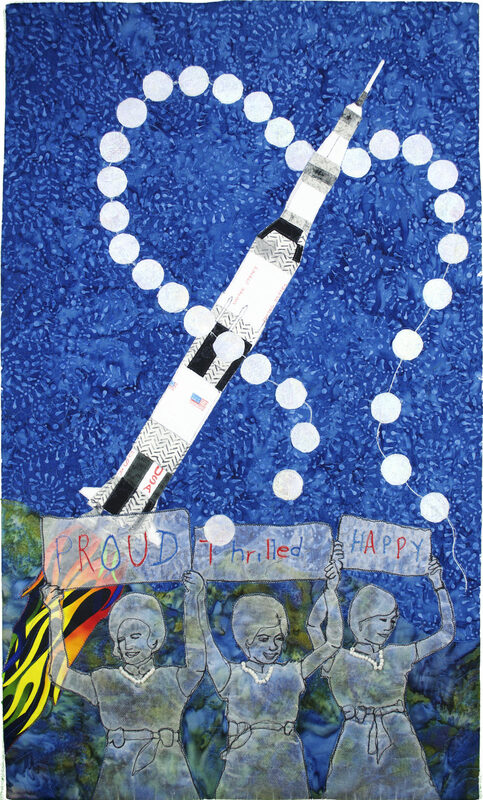 My quilt “The Apollo Wives” is a tribute to the lives of the 31 women who were married to the Apollo astronauts. To say I am empathetic is an understatement. My quilt shows three of the wives holding signs saying they are proud, thrilled and happy, but they are presented as see through, almost invisible as they put on “happy faces” for the country. To further emphasize their experience, the name of each wife is quilted invisibly into the background and like quilting, which holds the entire piece together, so did the wives hold families together while their husbands rocketed to fame. 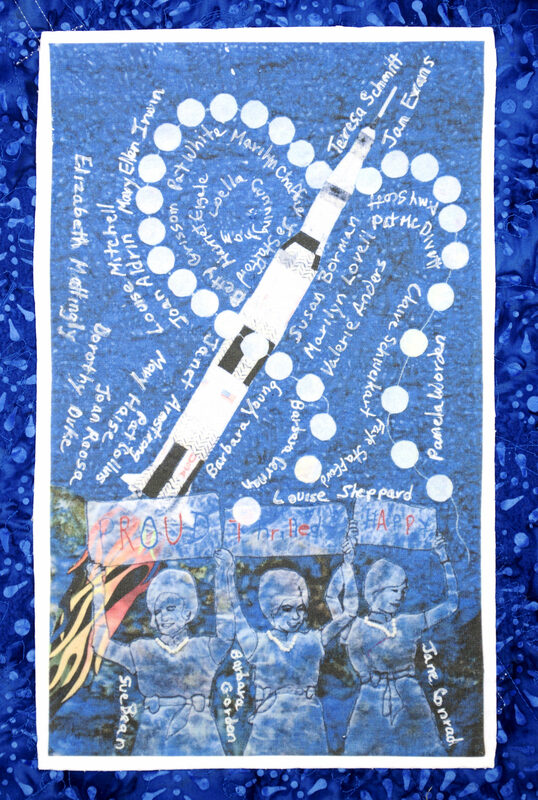 The pearls around the rocket mirror the pearls worn by the wives and represent expectations for women during the sixties. The pearl strand is broken symbolizing the many marriages that did not survive. Raw edge applique, hand and machine drawing; names of the Apollo wives provide free motion quilting with a map on the back of the quilt. Commercial cotton, silk organza, Angelina®, cotton thread, beads are the materials in this quilt.